Development kit for building After Effects plug-ins. Is there a better alternative to Effect Builder AE? Is Effect Builder AE really the best app in Video category? Will Effect Builder AE work good on macOS 10.13.4? 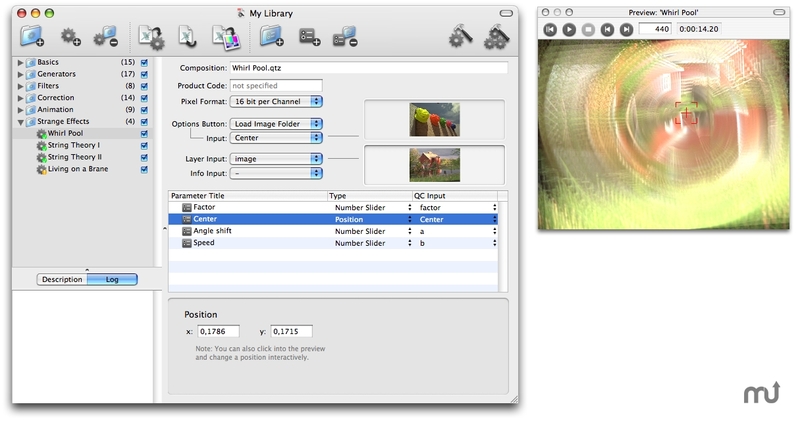 Effect Builder AE is a development kit for building Adobe After Effects plug-ins from Quartz Compositions on Mac OS X. With Effect Builder AE and Quartz Composer you can quickly create your own effects like generators, filters, and transitions without programming knowledge. With Core Image enabled graphics hardware, effects are rendered hardware accelerated. Effect Builder AE needs a review. Be the first to review this app and get the discussion started! Effect Builder AE needs a rating. Be the first to rate this app and get the discussion started!